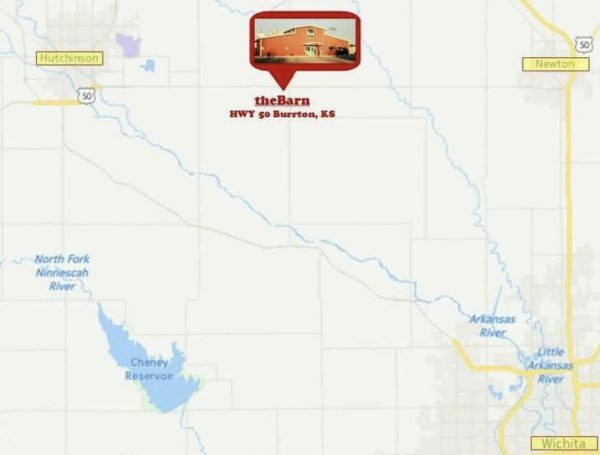 Get To Know… TheBarn – Wichita By E.B. Karl has lived on the family farm outside of Burrton his entire life. Lesley was born and raised on a farm near Bushton, KS and moved to Burrton after marrying Karl in 2001. They have 5 children; the oldest is 17 and the youngest is 7. We can be found following the kids across the area to watch them play sports almost every night of the week and weekends. 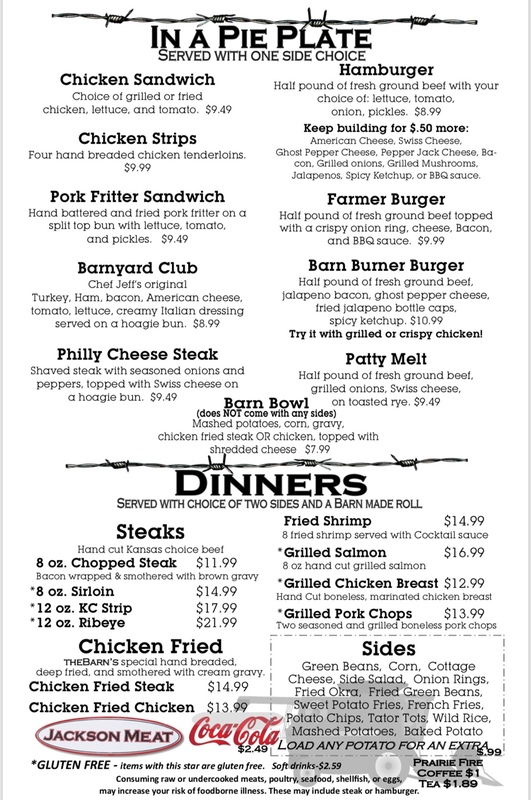 We offer delicious home cooked American food. What you would go home to have mom or grandma fix for you! We like to shop local and try to get as much product as we can locally. Jackson Meats in Hutchinson have been great to work with and supply us with most of our fresh, never frozen, steaks, burgers and pork chops. Supporting our neighbors is very important to us. 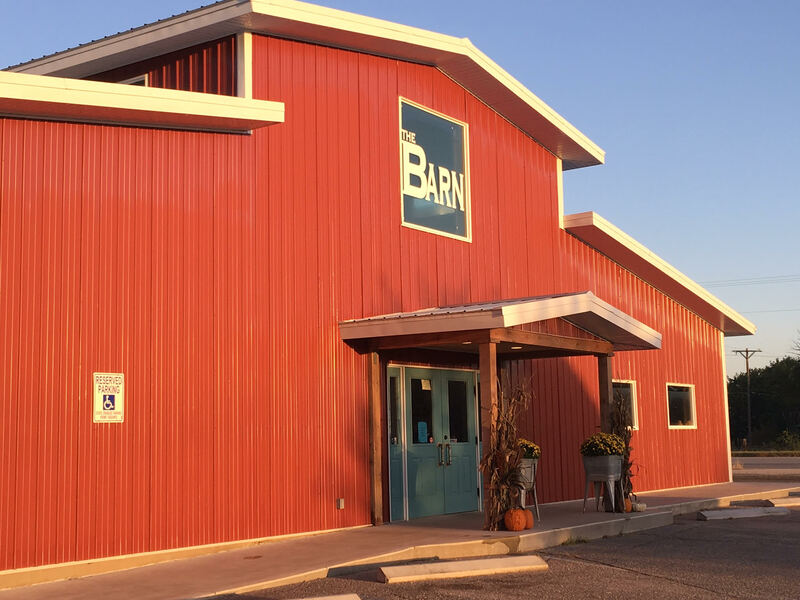 When we decided to open theBarn we were just wanting to provide a simple place for the community to come together and enjoy a cold drink and a hearty meal together. With the help of Regier construction out of Newton, we designed theBarn to feel warm and comfortable. Rustic and repurposed is Lesley’s passion! We realized quickly that God’s plan with theBarn goes further than we ever dreamed. The success we have experienced so far is due to Him providing opportunities we never even thought of! 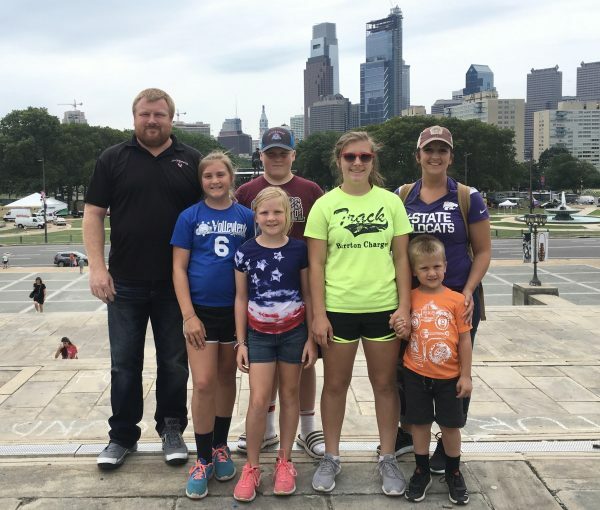 We have also been blessed with a great staff many who have become new friends as well as a second family that allow us to still attend as many of our kid’s activities as possible. We are blessed with great community support and strive to give back to them whenever we can. We hope to continue to pass on His blessings to others for many more years! Right from the start the Chicken Fried Steak became the crowd favorite. We have now sold close to 75,000 in the 3 years we’ve been open. 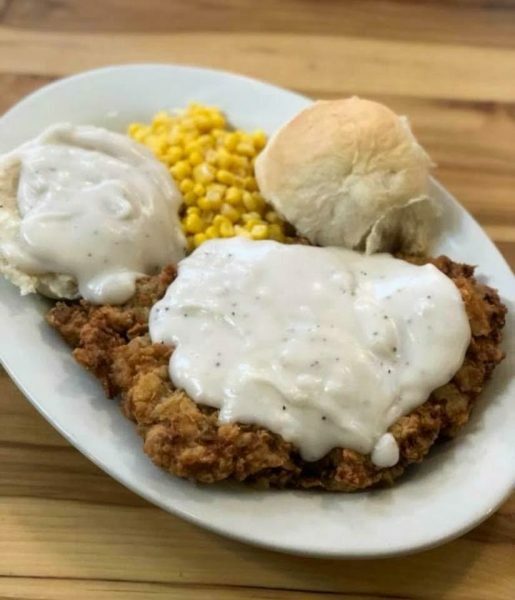 Next to the Chicken Fried Steak, our Chicken Fried Chicken is also popular! We also cut our own boneless wings in house. Sooo good! 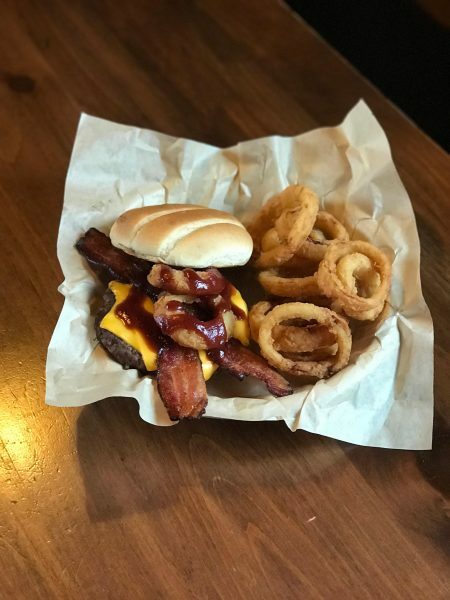 Facebook is where we post pictures of our daily lunch special! We choose to make something not offered on our menu each weekday as a lunch special. We are less than 20 minutes from Newton, McPherson and Hutchinson and less than 40 minutes from Wichita. 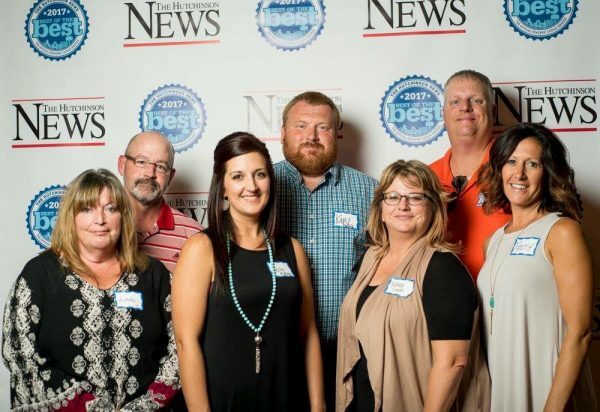 We are thankful for all of our guests who drive to support our family owned business and small town. Facebook: @thebarnburrton – You can also find us on Instagram. 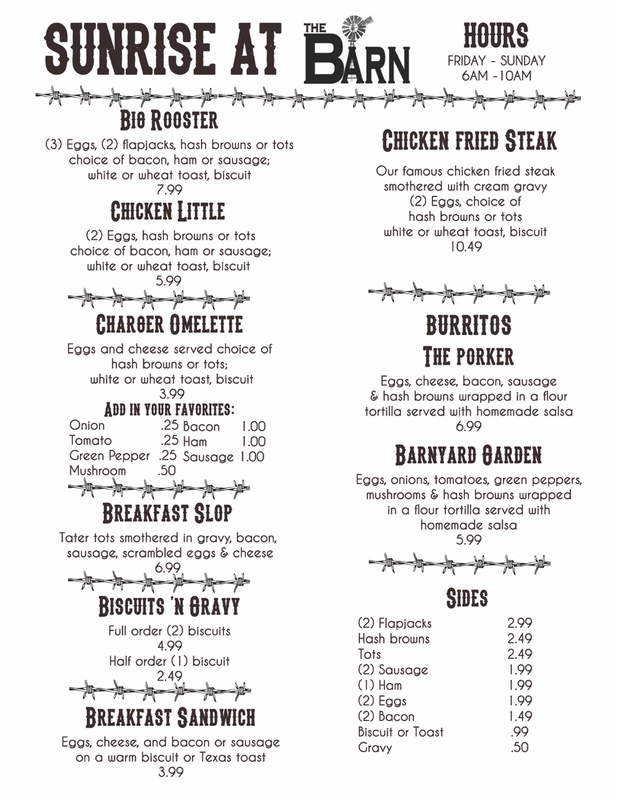 We do not take reservations but we do allow call ahead seating 620-463-8056. Calling ahead is strongly suggested with large groups and on Friday, Saturday and Sunday especially. You can also find us on the NoWait app. When you are within 25 miles of us you will see if we have a wait and even get in line right through that app. Be sure to continue to refresh your NoWait feed to stay with the current wait times. 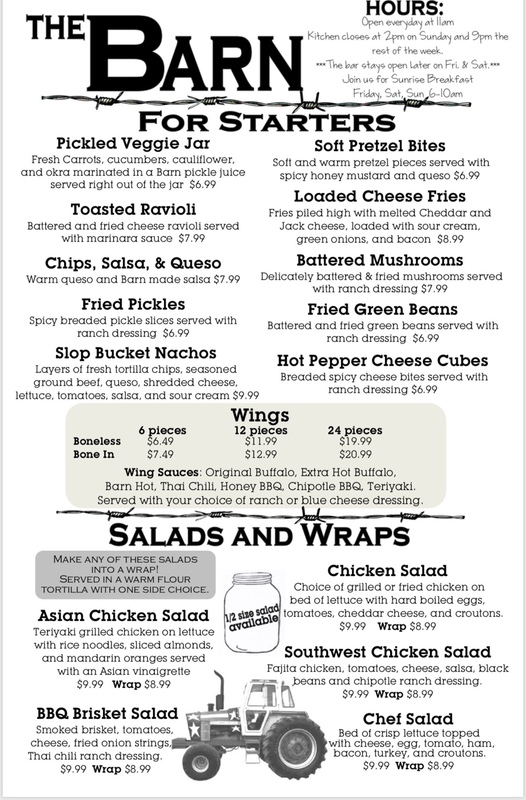 Hours: Monday-Thursday: 11am-10pm *Kitchen closes @ 9pm every night! Read past Get To Know features here! Want to be in our weekly Get To Know feature? You can apply here or email us at [email protected]. We are primarily focused on restaurants, food trucks, and leisure & entertainment businesses aimed at giving Wichita something to do. We understand advertising isn’t cheap and building exposure can be tough, so we do this free of charge to support businesses in the community. Thanks for doing these get to know segments not only for us but for all the businesses. If you have not eaten at The Barn yet, you are really missing out!!!! Love this place!